Need to shift your business into high gear? Time to consider Mac. 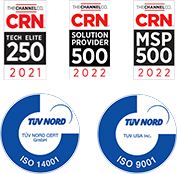 It gives you the tools you need to make your business stand out and stay productive, the security to keep your business safe, and the compatibility to fit right in with your current technology investments. Mac also tops the charts in reliability and customer satisfaction, so it delivers real value to your business. 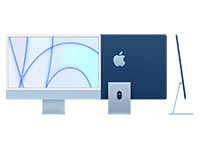 Connect with the Apple specialists at Zones. 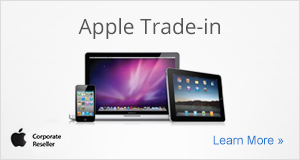 We'll help you choose exactly the right products and accessories. Contact your Zones account manager or call 800.408.9663. A big, bold display. The latest Intel Core processors and powerful graphics. An extra-large hard drive. And much more. It's the desktop your desk deserves. 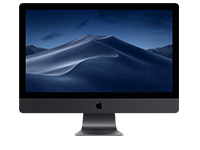 iMac Pro features the most powerful processors and graphics ever in a Mac, along with the most advanced memory and storage–so the most demanding professionals can turn their biggest ideas into their greatest work. 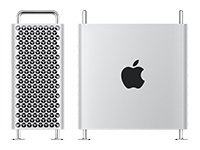 The new Mac mini. Now with eighth-generation 6-core and quad-core processors. Faster 2666MHz DDR4 memory. And blazing-fast all-flash storage. 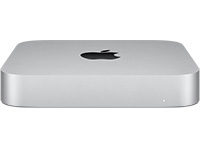 It's the biggest update to Mac mini, ever. Dual workstation-class GPUs. State-of-the-art processor. Next-generation flash storage. Ultrafast memory. Unprecedented expansion capabilities. In a radical new design like no computer you've seen before. The future of the pro desktop is here. 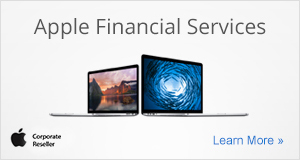 Download any of these recent On-Demand Online Seminars from Apple to learn more about how Apple products and solutions can take your business to the next level. Choose from convenient payment options to suit your budget when you finance hardware, software, accessories and more. Streamline deployment and the integration of new mobile devices into your IT organization by leveraging Zones services. Regardless of form factor and platform, systems can be delivered pre-configured based on your specifications. Zones configuration and integration centers are equipped to support all of our services, and are strategically located to expedite deliveries. And with quality control checks in place, the accuracy and completeness of the work performed is guaranteed.